Celebrities are THE fashion icons for beauty, makeup — and of course, hairstyles. Emmy Rossum is no exception. 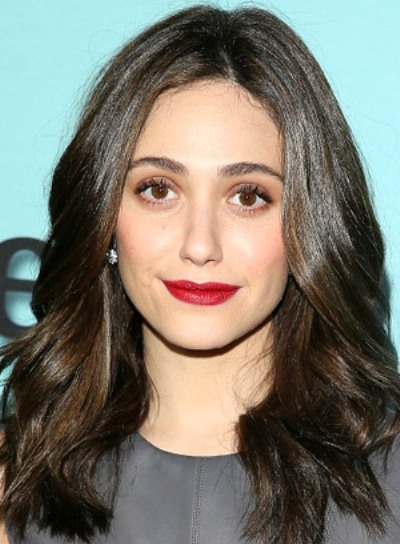 That’s why we’ve got Emmy Rossum photo galleries, pictures, and general beauty news on this celeb. Her style is totally inspiring and worth checking out. 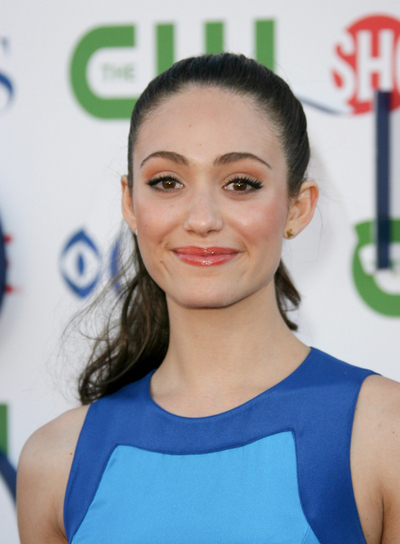 So if you’re searching for some beauty tips, hairstyle options, and fashion advice, turn to Emmy Rossum. She’ll bring your fashion to a whole new place. 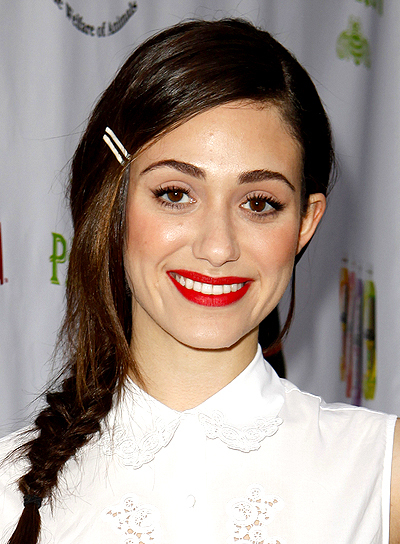 Emmy Rossum's romantic hairstyle is perfect for spring or summer. Steal her style:1. Apply a curl-enhancing cream to damp hair and blow dry using a round brush.2. Now wrap sections of hair around a large barrel curling iron and twist outwards, away from your face. This will enhance the glow of your pretty face, given that you spent some time on your makeup, of course.3. Don't comb your fingers through your hair (that'll only break up the waves -- ugly). Instead, put a dallop of smoothing cream on your palms, rub them together and run them very gently over the top layer of your hair.